Eagle Specialty Products will be exhibiting at the American Coatings Show this year. With more than five decades of experience in sales, distribution, and manufacturing for the coatings industry, the family owned and operated company will mark this as its second time attending a national event. 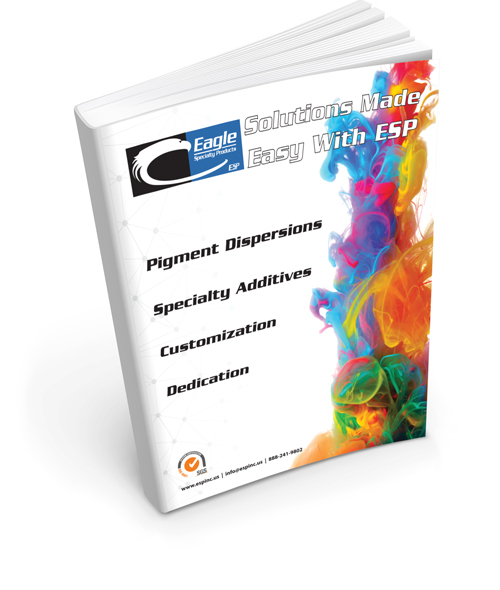 Eagle Specialty Products introduces a new line of liquid pigment dispersions into their portfolio of industrial colorants. H2LOW-VOC is the first water-based, ultra low VOC color system for in-plant adjustment in their catalog. Eagle Specialty Products will be exhibiting at the Western Coatings Symposium this year. Even though Eagle has been around since 1959, this will be the second time the company has attended a regional trade show. Mexican chemical sales, distribution and technical service representative, Química Milenio, and Eagle Specialty Products have joined forces to supply high-quality raw materials to coatings manufacturers outside of the U.S.